The result is ‘Fort Street Studio Presents…‘ a collection of short films, one each by three up-and-coming filmmakers enrolled in the prestigious New York University’s Tisch School of the Arts Graduate Film Program. Founded in 1965, the highly competitive program admits only an approximate thirty (30) students per year, and as such the caliber of the work, well I’ll allow it to speak for itself, for I am no film critic. However, just like anyone ever influenced by a film, or a commercial, or a trivial internet video of dubious value I have emotions which drive my being. 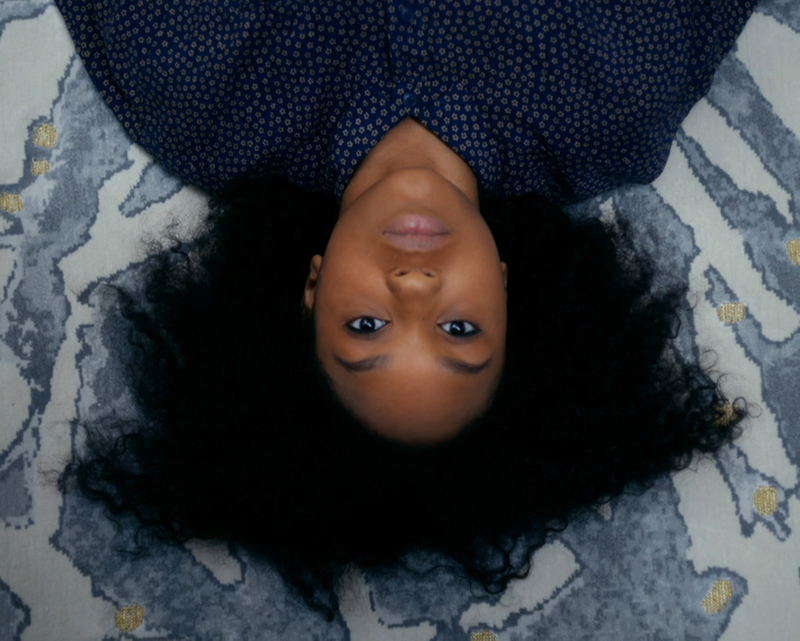 Still image of a girl in a short film by Haley Anderson presented by Fort Street Studio. | Image courtesy of Fort Street Studio. The mélange – to call them promotional films seems like an understatement of grand proportions – of films Fort Street Studio has assembled are as diverse in their aesthetics as the three filmmakers – by sole virtue of the creators’ visions – yet surprisingly uniform in their emotional messages of family, of lifetimes, of that which we hold most dear: memories. 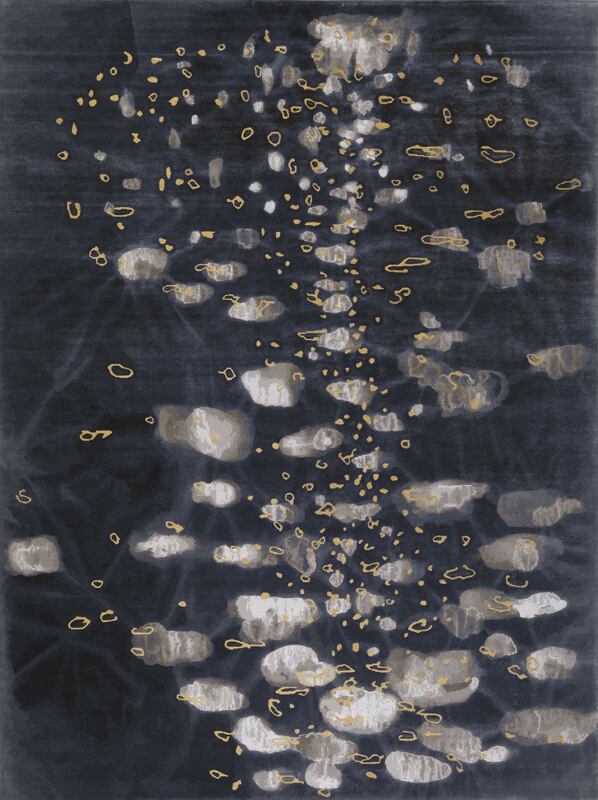 Of all the reasons to buy a rug or carpet of enduring quality like those of Fort Street Studio perhaps none is more interesting than the possibility of an object traveling through time with you from youth through adulthood to death and beyond to the next generation. Reminding us along the way of what has been, and carrying that moment into the distant unforeseen future. 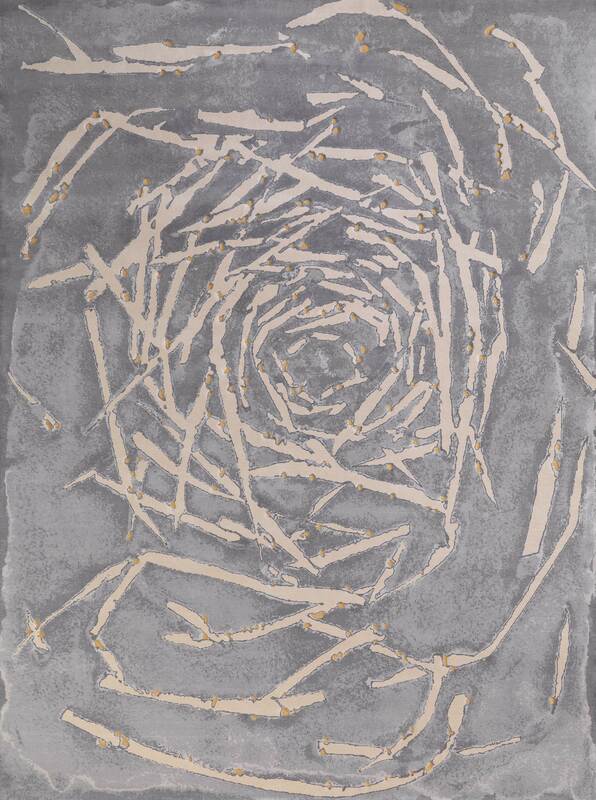 ‘Casperia Silver Gold’ from Fort Street Studio shown in their signature ‘Wild Silk’ quality w/gold thread accents. | Image courtesy of Fort Street Studio. This idea of a ‘rug for generations’ or ‘the antique of the future’ is far from novel and has been espoused by those who make superior quality carpets for as long as I can recall. Aesthetics aside, this is the singular reason to invest a considerable sum of money into a superior quality carpet: it can last forever (read as: your lifetime) and thus will ‘never’ need to be replaced. But, just as Provisor noted, the cinematographic approaches heretofore have focused more on the technical, the mystique of the handmade – especially when juxtaposed against the modern mass produced world, and the where, how, and by whom it was made. Still image of women playing cards in a short film by Karishma Dev Dube presented by Fort Street Studio. | Image courtesy of Fort Street Studio. For example, the best film to date utilizing this approach is that of ‘Slowmaking‘ by the carpet house of Jan Kath. 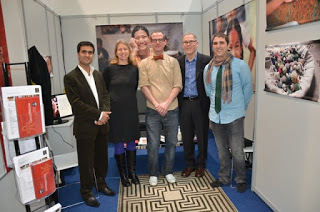 It is a beautifully made film depicting without dialog – a technique in common with the films of ‘Fort Street Studio Presents’ – the process of making Jan Kath’s carpets in Kathmandu, Nepal. 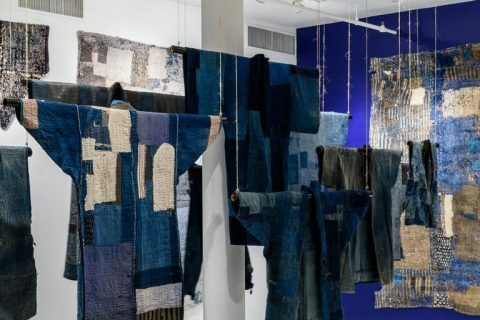 It expertly crafts the narrative of carpet making much the same way as Jan Kath and For Street Studio craft their respective carpets: without flaw. But at the end of the ‘Slowmaking’ the viewer, wiser to process, is still left to wonder why. Why should I purchase such an amazing carpet? 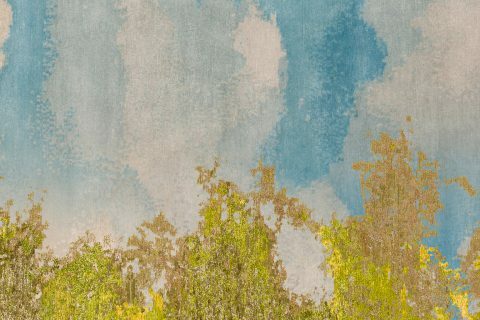 ‘Glimmering Twilight’ from Fort Street Studio shown in their signature ‘Wild Silk’ quality w/gold thread accents. | Image courtesy of Fort Street Studio. To continue the comparison, the more documentary ‘how it is made’ style of films about carpets would be the equivalent of watching a movie about raising cattle, farm to table, and the secrets of the chef. In contrast the work of Haley Anderson, Alec Davis, and Karishma Dev Dube for Fort Street Studio focuses on the ‘sizzle’, that is the strong emotional and sensory connections which influence our sometimes still primitive and not fully understood minds. If steak was on the menu and I wanted you to buy it, I would tap into these emotions. If I was trying to sell you a carpet, I wouldn’t explain the staple of the wool, or the hand spinning, or the knotting, et alia; I’d tell you how your children will one day recall the time they spilled something on this very carpet as they help their child, your grandchild, clean whatever it is they just spilled. FORT STREET STUDIO Presents: A Film By Alec Davis from FortStreetStudio on Vimeo. This is of course not to say one approach is better than the other and indeed the premise on which enduring emotion bearing carpets is based is that of carpets capable of lasting generations. The technical, moreover the superior technical, is a fundamental requirement of a carpet that can last, but these minutiae are often lost on those who simply do not care just as there are those who don’t have children nor care about the life of their carpet beyond ten (10) years’ time when they next redecorate. This strongly echoes the writing of author George Lakoff – summarized nicely in this recent article – and though he is focused heavily on politics, I feel his reasoning is applicable in this situation as well. On one side there are those amongst us who are persuaded by facts, figures, and the tangible and on the other there are those who are persuaded by emotion. Further there are those in the middle for whom a medley of facts and emotions work best. 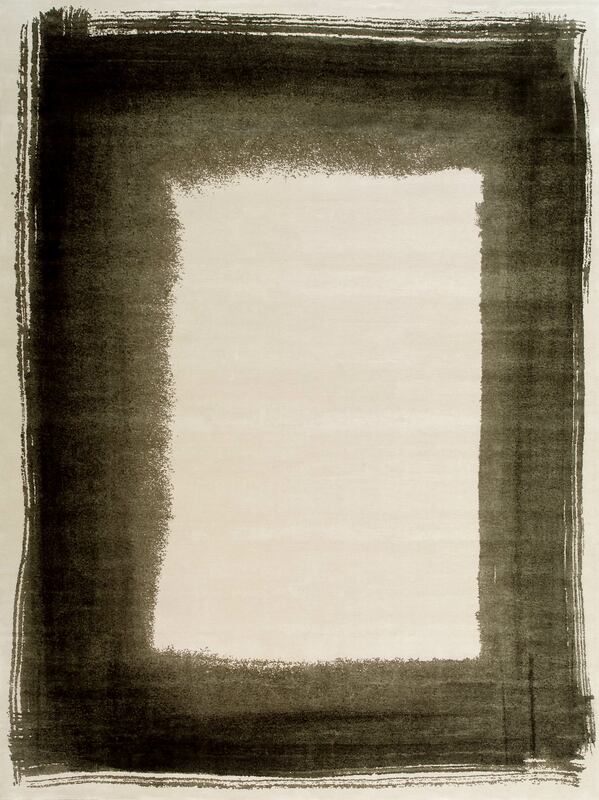 ‘Border Grey’ from Fort Street Studio shown in their signature ‘Wild Silk’ quality. | Image courtesy of Fort Street Studio. As a footnote of sorts, and knowing humans are apt to be inspired and build upon the work of others, I longingly wait for the next iteration of videographic stories told about rugs and carpets and ponder what the future will hold while looking down at my office carpet and the permanent lac stain from the time the carpet was flooded by a burst waterpipe and the shellac from an aged wooden cabinet left its mark. I’ll reminisce about moving a waterlogged forty-five kilogram (45kg/100lbs) when dry carpet, of the opportunities of that time now lost, and… …and perhaps it best to just fade to black . Editor’s Note: My apologies to the creator of the radio advertisement for the 1975 film ‘The Rocky Horror Picture Show’ for paraphrasing the original line: ‘You’ve seen all kinds of movies, but you’ve never seen anything like The Rocky.. Horror.. Picture.. Show.’ for my secondary title. I had not, and I haven’t since!